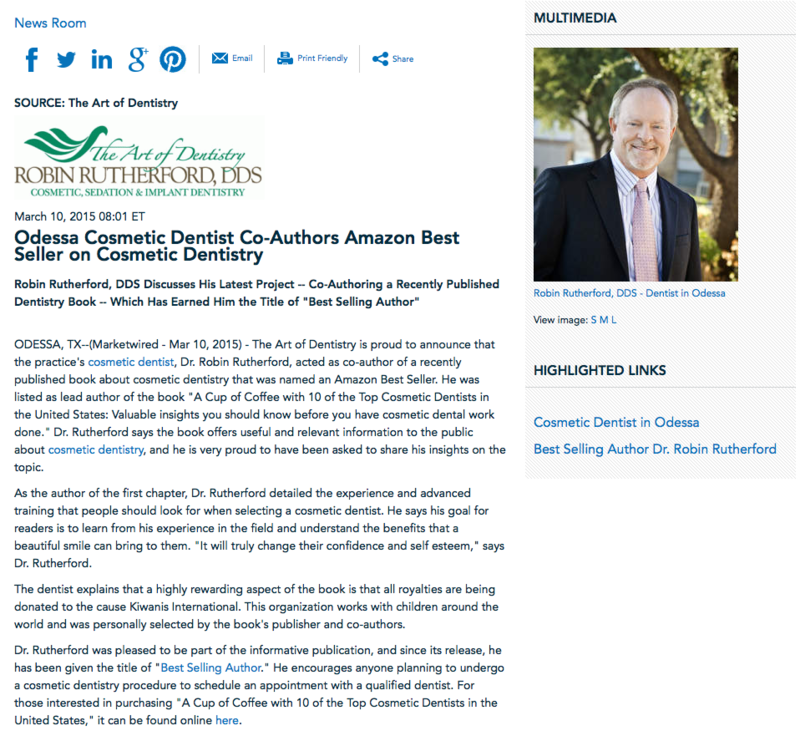 Welcome to the Art of Dentistry News Room. 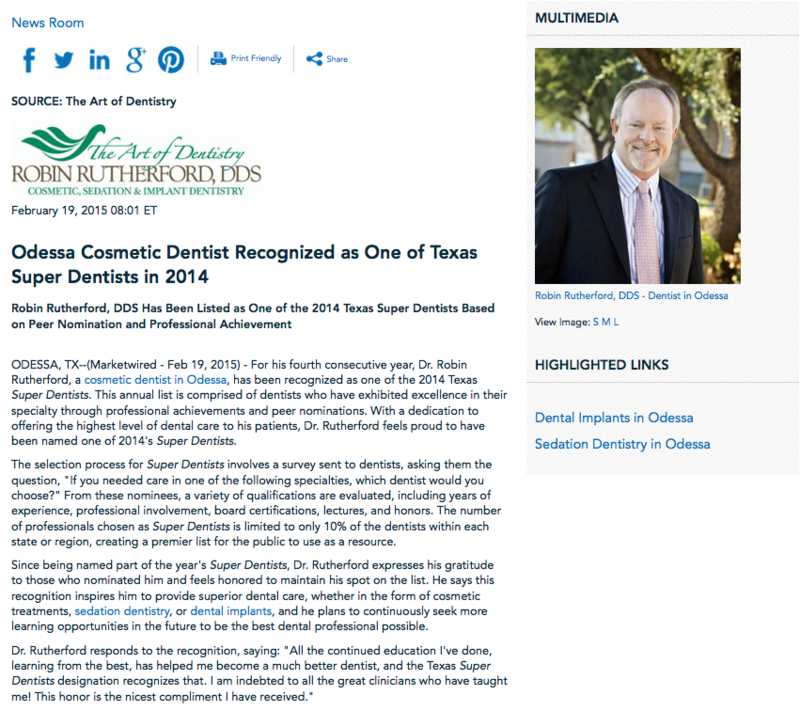 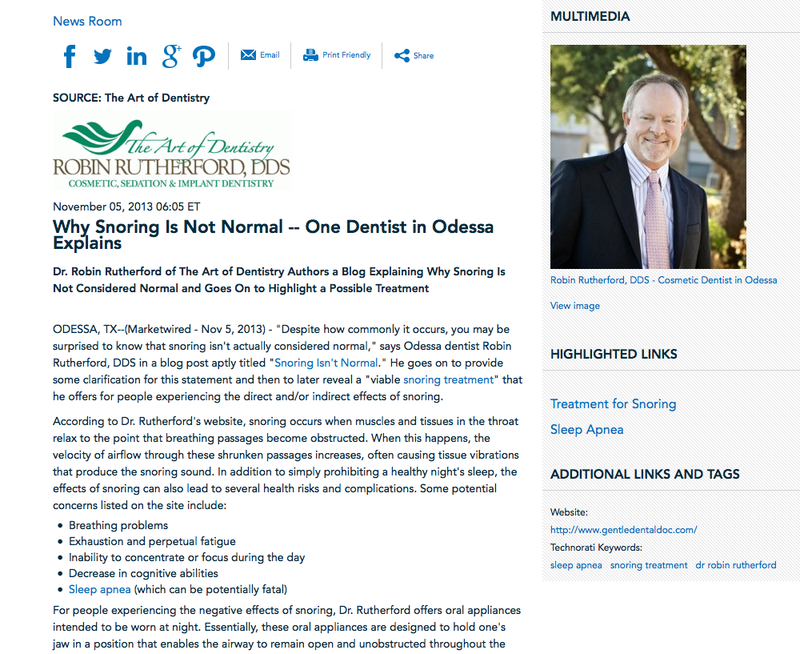 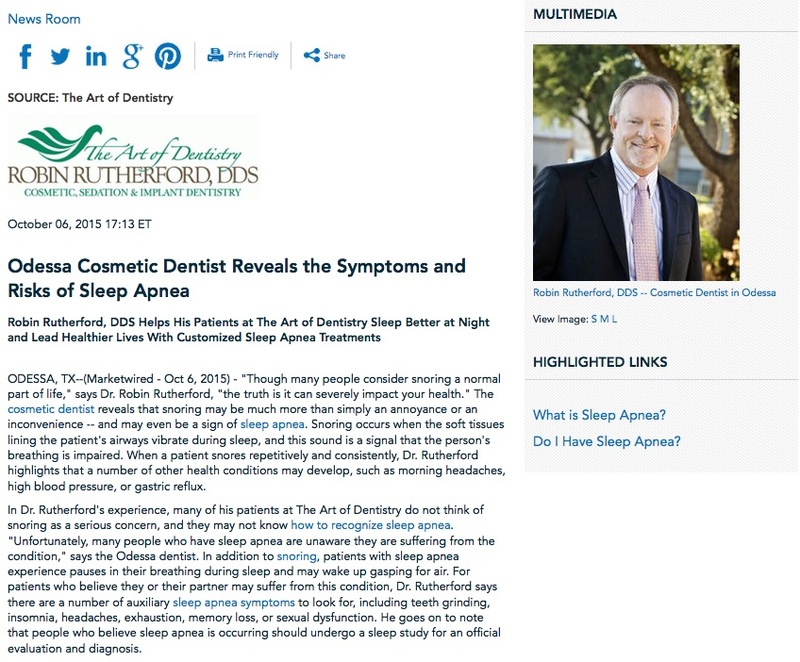 Below is a list of the latest press releases written about Dr. Robin Rutherford and our general and cosmetic dentistry practice. 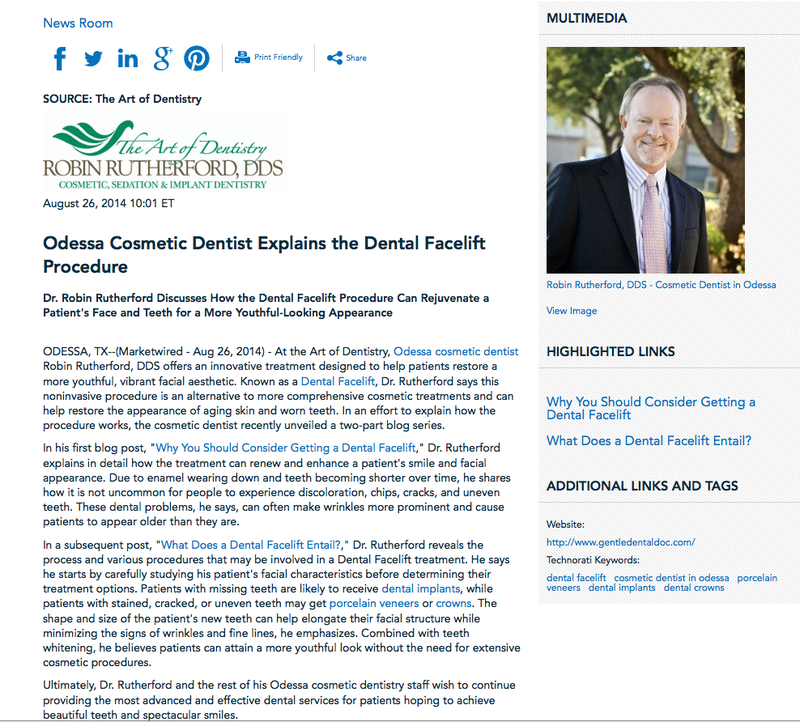 Click on any of the links below to read the most recent news regarding our latest treatments, techniques, technologies, and other pertinent dentistry information.